Published June 7, 2013 at 665 × 431 in Sudbury: The Journey from Moonscape to Sustainably Green. 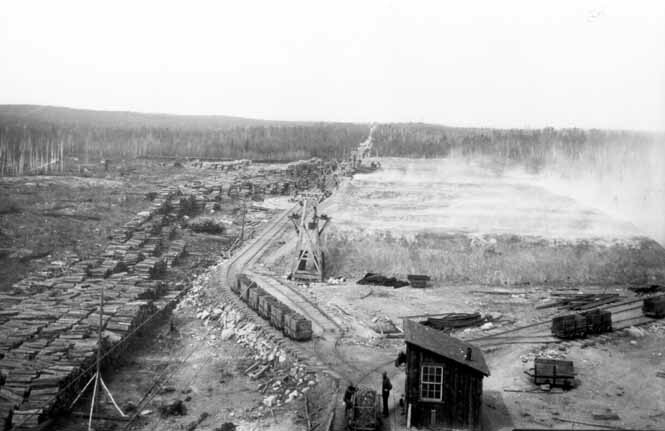 Roast yard near Victoria Mines, Sudbury 1898. Greater Sudbury Historical Database.